KMU will be facilitating Emergency Preparedness workshops across the state, with a focus on water and wastewater utility resiliency in the event of an emergency. 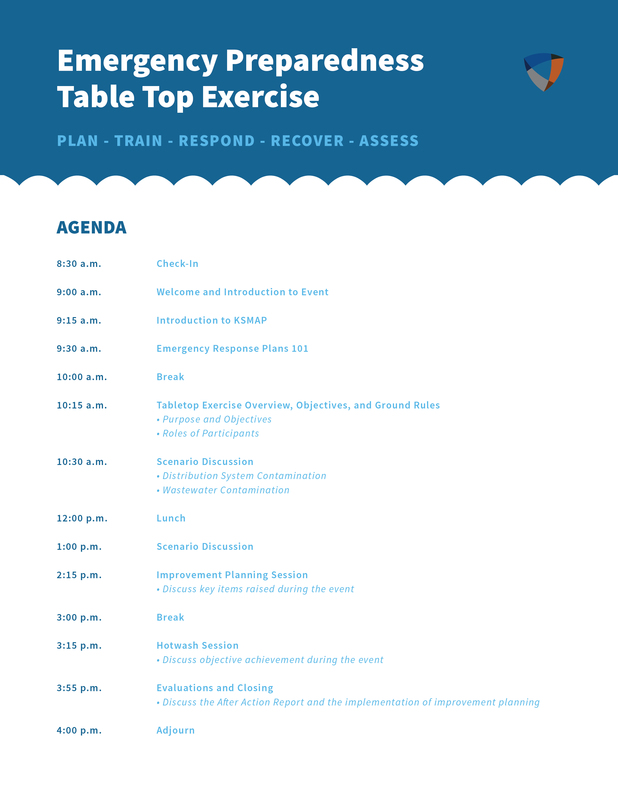 Each day-long workshop will be available for 5 hours of water or wastewater operatorcertification credit, and will include hands-on table top exercises. There is no charge to attend, but you will need to register. Emergency Preparedness workshops will be held in Garden City (11/6/18), Kansas City BPU (1/15/19), Hays (2/12/19), and Salina (4/23/19).